Summer is just around the corner and if you're anything like me, you'll be running around in flip flops every moment you possibly can! It's just too hot to wear socks when it's hot outside. As much as I love flip flops, they keep you the same height God made you......and for me, that's just not very tall. 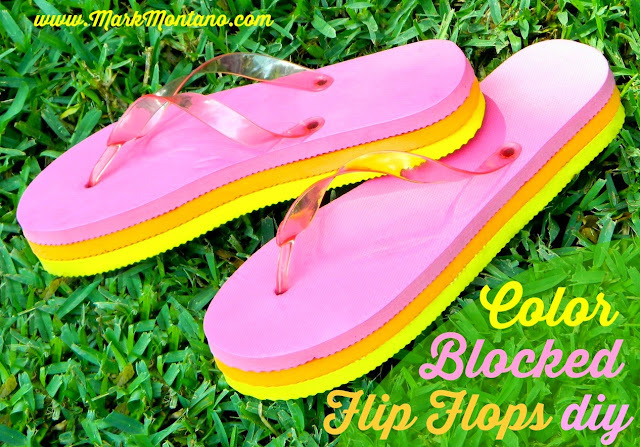 Fortunately this tutorial will help all the height-challenged-flip-flop-wearers gain an inch or two and still be comfortable. It's so easy, too! 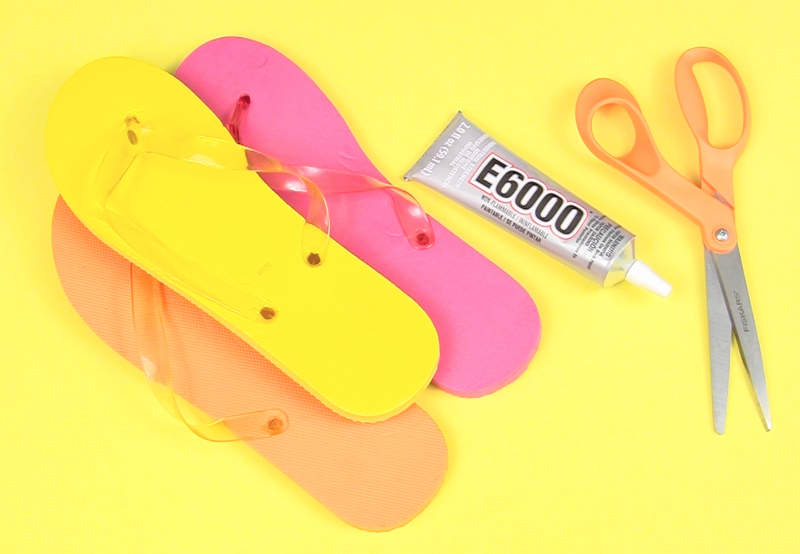 All you'll need is a little E-6000 to tackle the job. They look just like a sherbet ice-cream sandwich! 5. Place a heavy object on top. I used a dictionary, but you might want to use something even heavier. 6. Let them dry overnight and you're done! What a great idea...easy gift idea too! Thanks! I remember when they sold the flip flops that thick (or thicker!). Cool idea though. I actually just did a slightly different version of these for my mom. I made an actual wedge from the middle flip-flops. 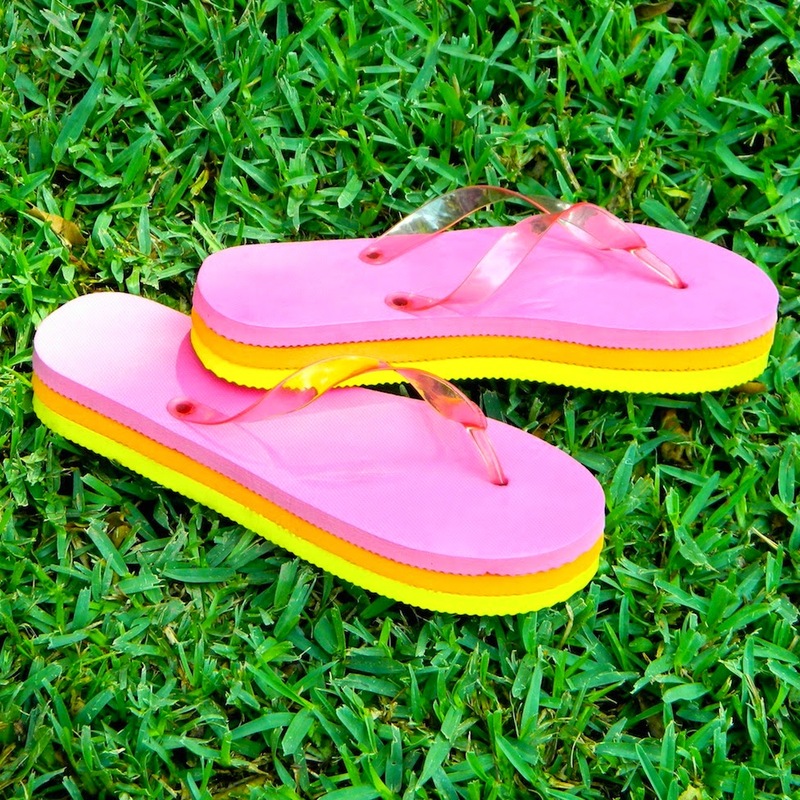 Layering cheap flip-flops also gives them more stability and makes them better on your feet.